Shanghai has an amazing skyline, parks, museums, local markets and countless shopping options, yet it enables you to experience everyday local life in modern China. Shanghai is a city of more than 24 million people. 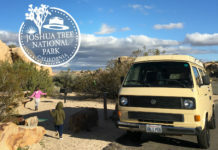 It might not seem like an ideal place for family travel destination at first glance. But look closer and you will soon discover a range of things to do to keep the whole family entertained. 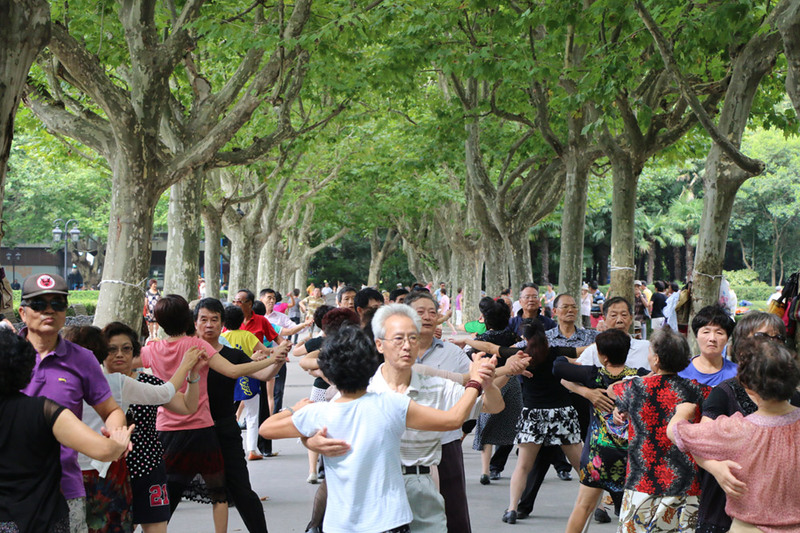 Shanghai has multiple large green spaces with many locals actively using them to socialise and exercise. 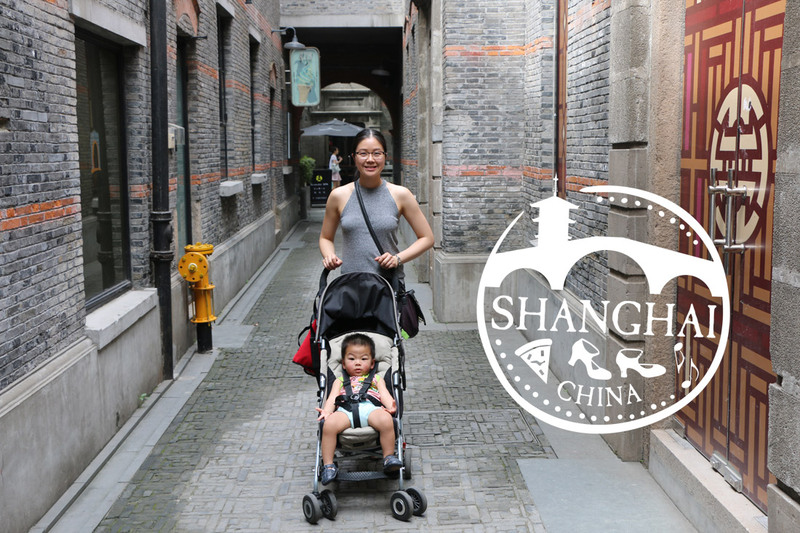 Fuxing Park should definitely be your family’s first stop when visiting Shanghai. This massive 10 hectares parks is designed with French style, having beautifully manicured flower beds, relaxing pavilions and even have a small lake. We absolutely loved leisurely walking around the park watching the seniors performed outdoor ballroom dancing, playing music, practicing martial art, calligraphy writing and mah-jong. There are also many families enjoying this park. Weekend mornings will be the ideal time to visit. 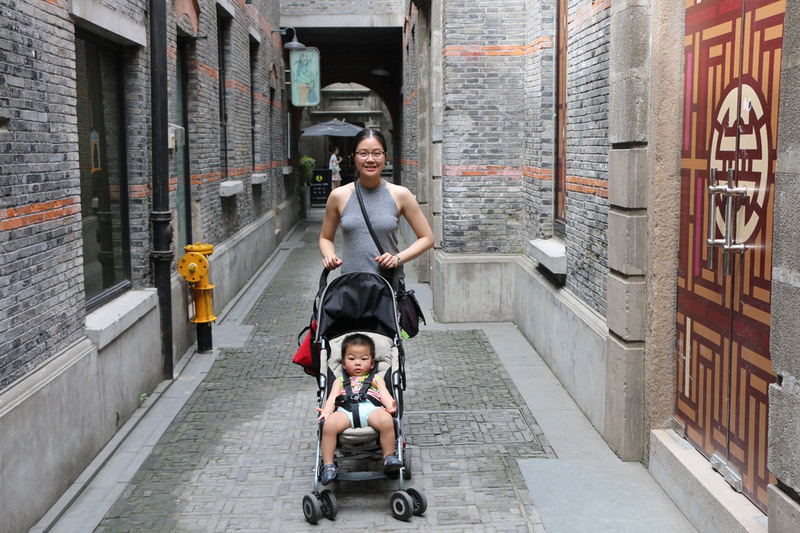 Located within walking distance to Fuxing Park is the tree lined streets of Xintiandi. This historical area is made up of rebuilt traditional mid-19th century shikumen (“stone gate”) houses on narrow alleys. It is now home to many trendy restaurants and shops. Opened in 2016, Shanghai Tower is the world’s 2nd tallest building. Family travellers can go up to visit the world’s highest observation deck. Located on the 121st level, it is 6 meters higher than Dubai’s Burj Khalifa observation deck. Al though entry is a bit pricey, it is definitely worth it. The comfortable journey up with the elevator took less than one minute, reaching speeds of up to 18 meters per second. Views over Shanghai are simply amazing! Best time to visit is just before sunset. This amazing riverfront boardwalk has a series of classical Western style building on one side and modern skyscrapers on the other side of the Huangpu river (Lujiazui). 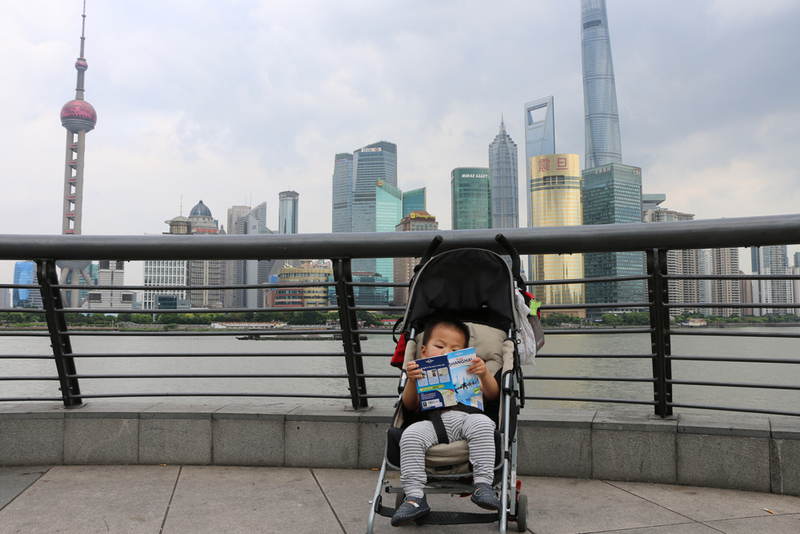 This is a great photo opportunity for your family with Shanghai skyline standing in the background. If possible dine at one of the riverside restaurants. We enjoyed an afternoon tea at M on the Bund. Visit The Bund early mornings to see local groups doing Tai Chi or otherwise visit in late afternoon. Remember The Bund area does get crowded most days towards sunset. The space rocket like Oriental Pearl Tower building will appear in most images of Shanghai. It has a revolving restaurant, observation deck and history museum. But waiting line can be excessive. Your family will be better off visiting the other observation decks (at Jinmao or Shanghai Tower) which offer better views. We only went there to visit the Shanghai History Museum. Kids will love this museum and be amused by the actors re-enacting traditional Shanghai life, many town models and historical house displays. But do note this museum is not ideal for strollers. Right across the Oriental Pearl Tower is a Disney Store and a series of shopping malls including Super Brand Mall, IFC Mall all of which are within easy reach of each other. These places offer plenty of kids friendly shops and countless dining options. 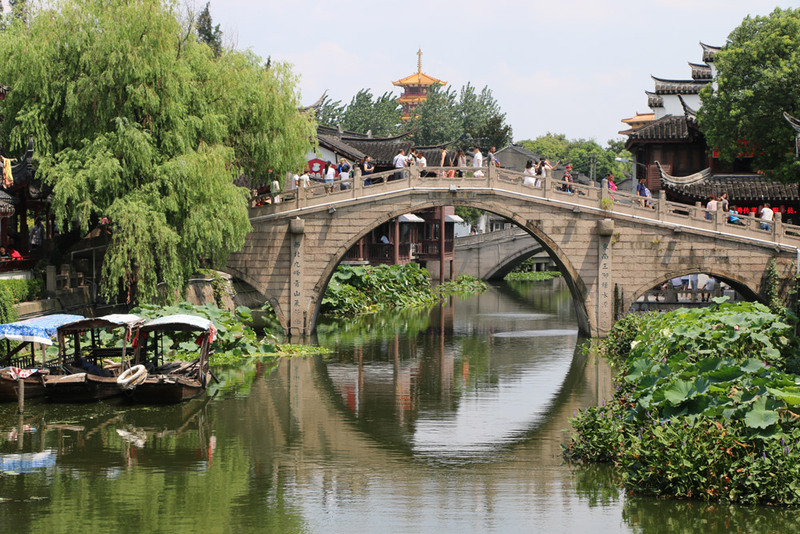 This Ming Dynasty era garden is located right in the heart of Shanghai. Kids will enjoy the beautiful ponds filled with Koi fish, decorated bridges and many beautiful pagodas. There are plenty of shops, market and local restaurants right outside of the garden area. Best time to visit is late in the day, which will help you avoid peak tourist hours. There is not much shaded area in the garden so bring an umbrella or avoid hot days. Shanghai is surrounded by a series of small water towns such as Zhujiajiao, Nanxun, Xitang (shooting location for Mission Impossible 3). We went to the closest one, Qibao, which can be easily reached by the metro system. This is another nice Shanghai park to visit with a tea house and small children amusement area (though it is a bit dated). On the weekends some locals use the park to play mah-jong, practice English and some parents even use it as “marriage market”. Other attractions worth visiting nearby include Shanghai Museum and the urban exhibition centre. Nanjing Road – Considered to Shanghai’ Fifth Avenue back in the day. Shanghai Circus World – the equivalent of China’s Cirque du Soleil. Tianzifang – arts and crafts enclave in the French Concession area. Shanghai offers all variety of food you can think of, from local delicacies to Western restaurants. As for ordering food, waiters are very helpful and usually understand basic English. All we needed to do was smile and point at the menu or at someone else’s food. 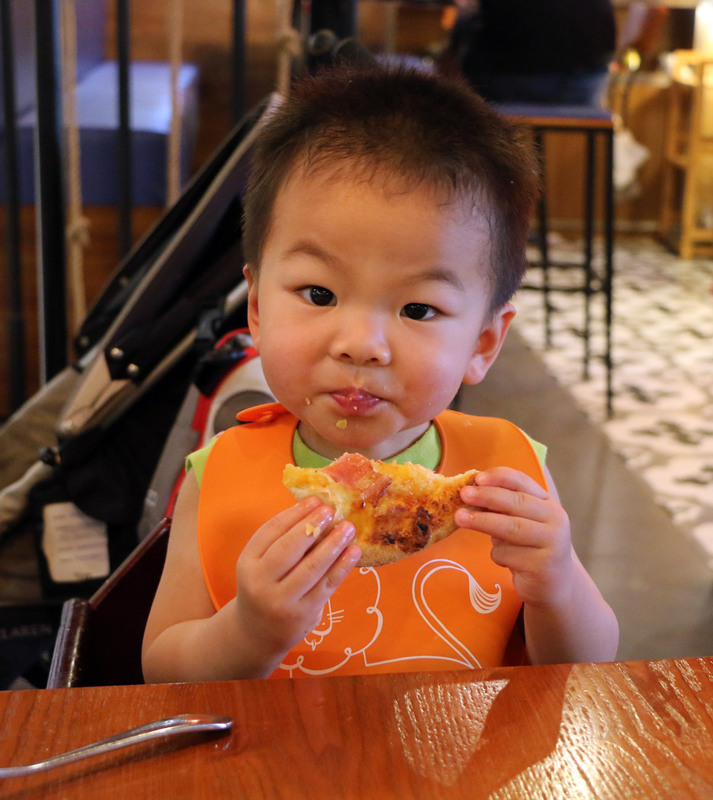 Our then 18 months old son Berlin even discovered his passion for eating pizza while in Shanghai. Traffic in Shanghai is not the best, however the subway metro system is great. The stations are all modern, clean, with all station names written in alphabet so you will have no problem knowing where you are going. We were also surprised by how orderly the locals were. Lining up on the train stations, even giving up their seats for us! As a bonus subway tickets are cheap, very cheap! Taxis are very reasonable priced, however most Taxi drivers do not speak English. So asking your hotel to write down your destination in Mandarin is helpful. Arriving at the Shanghai Pudong International Airport you can hop on the super fast Maglev bullet train, which is the world’s fastest commercial high speed electric train. It takes only 8 minutes from the airport to reach Longyang Road station. From there you can take a taxi or subway direct to your hotel. 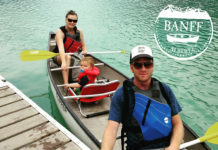 Lets Go Bear Travels has a complete packing list for this trip. 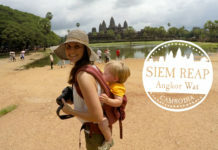 Prior to having Berlin, our “baby bear”, we enjoyed travelling regularly. We love learning other cultures and history. Our travel style has always been jam-packed sightseeing, off the beaten path style with minimal shopping thrown in the mix. Our pleasure! 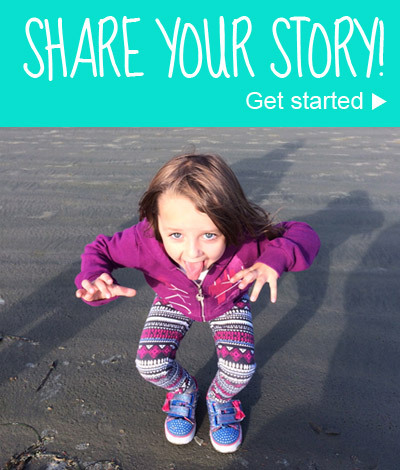 Thanks again for sharing your Shanghai travel story. 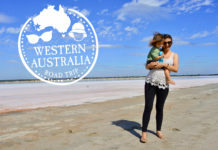 We loved learning more about what this huge city has to offer traveling families.